Mrs. Duff encloses a check of a large sum to help Martha Berry continue her wonderful work. 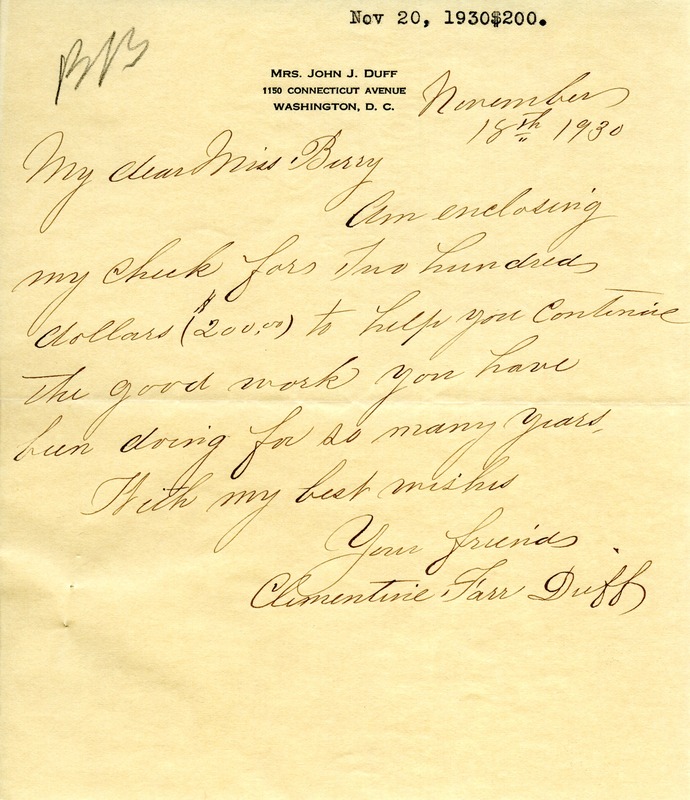 Mrs. Clementine F. Duff, “Letter from Mrs. Duff to Martha Berry.” Martha Berry Digital Archive. Eds. Schlitz, Stephanie A., Angela McCavera, et al. Mount Berry: Berry College, 2013. accessed April 18, 2019, https://mbda.berry.edu/items/show/12396.